From Saturday, August 5th through Friday, August 11th, the 17th annual Motorcycles as Art Exhibit will be on display at the Buffalo Chip. K&N returns as one of the event sponsors for this year’s exhibit, themed Old Iron Young Blood. This display mashes young up-and-coming custom bike builders under 36 years old with artists in a one-of-a-kind display. “The Motorcycles as Art exhibit is always a great show with a high level of craftsmanship in an artistic two-wheel form,” explained Ross Berlanga, Brand Manager at K&N. “This year’s exhibit will feature some of the leading trends from the next generation of builders that will keep Sturgis on the gas for another 77 years.” Also at the Buffalo Chip, on Wednesday, August 9th is the 7th of 10 Super Hooligan Races. This “run what you brung” flat track series is title sponsored by Roland Sands Designs and K&N is proud to be a series sponsor. This is sure to be an entertaining race that will culminate in a giveaway of a custom RSD bike. You won’t want to miss it. Finally, the K&N hauler will be at Black Hills Harley-Davidson all week. 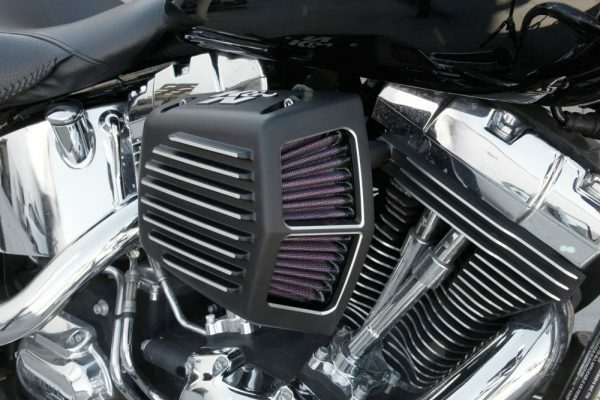 The newest Harley-Davidson intakes will be on display including the new Shaker and AirCharger styles in both matte black with brushed aluminum accents as well as matte grey with polished accents to match the H-D Blonde motors. 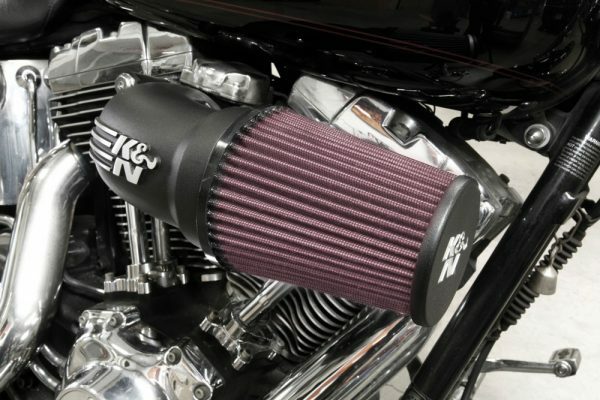 There will also be giveaways, product install demonstrations, and famous 1 Wheel Revolution stuntman Rob Carpenter will be showing off his talents on his Dyna in front of the K&N rig. This year’s Sturgis Motorcycle Rally will be one for the record books. If you are planning on attending, be sure to stop by the K&N booth and speak with one of our knowledgeable staff about our new products or just grab some swag.